March 16th, 2017 – ADATA Technology, a leading manufacturer of high performance DRAM modules, NAND Flash products, and mobile accessories is proud to share that all DDR4 offerings from its XPG high performance hardware brand have been officially certified by AMD as compatible with the AM4 socket and accompanying processors, namely the recently launched Ryzen range. 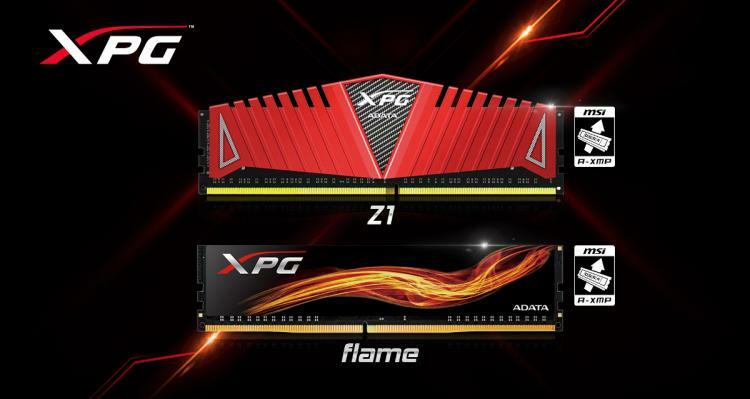 XPG memory was validated while installed on MSI motherboards, signaling major cooperation between ADATA and MSI. With formal AMD approval, customers know they are purchasing a fully compatible product when selecting XPG DDR4 to be used on AMD AM4-based motherboards. As XPG DDR4 has been added to the AMD QVL (qualified vendor list), customers can rely on seamless compatibility without having to worry about POST or other conflict issues. AMD validation also covers A-XMP, or AMD extreme memory profile. That means XPG DDR4 has been tested in overclocking profiles and not just stock factory speeds, ensuring its reliability and stability in high performance scenarios.